Free Shipping Included! 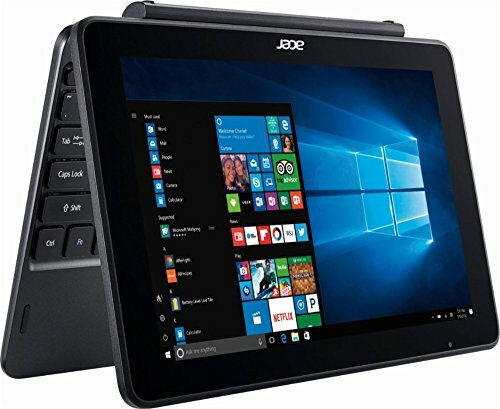 Acer One 10.1 Inch Flagship Edition Tablet Laptop with Keyboard Intel Atom Quad-core Processor 2G RAM 32G Storage Windows 10 bundle with woov sleeve by Acer at The Square SC. Hurry! Limited time offer. Offer valid only while supplies last. Quad-core processor The right combination of fast performance and power efficiency. It allows rapid multitasking, delivers smooth response and unleashes stunning graphics. 32GB internal storage plus microSD slot Store your software, apps, music, movies, photos, and more. Expand storage with a microSD card (sold separately). 10.1" widescreen with 1280 x 800 resolution This resolution yields bold color and is great for Web browsing, light reading and studying, and casual gaming. Powerful connectivity with USB 2.0 Share files, connect accessories and display content on the big screen with 2 x USB 2.0 ports.